Newegg, one of the largest online electronics retailers, made the announcement today that it will begin accepting bitcoin. To many of the company’s customers, the announcement was a long time coming. After Overstock began accepting bitcoin in January, Newegg shoppers took to social media, wondering when the company would open up the option of bitcoin as a payment method. Newegg will now be able to offer bitcoin payment options to its over 25 million customers for its extensive product offering of over 10.5 million products. The computer hardware and software e-retailer is one of the largest in the industry, with nearly $2.8 billion in revenue. Unlike Overstock, Newegg selected the Atlanta-based payment processor, BitPay as its payment processor for its family of e-commerce websites. BitPay is currently processing bitcoin payments for over 35,000 merchants and recently raised a total of $32m in venture capital, the largest of any bitcoin company to date. Newegg’s choice to accept the rapidly growing digital currency adds another secure and convenient way for customers to fulfill their electronics needs. For a forward-thinking e-commerce provider like Newegg, Bitcoin delivers a new look into mobile payments and payment processing, in an environment driven by fraud prevention and payment security. For every retailer processing payments via credit card or bank information, the risk of security and fraud are imminent. Bitcoin, however, is a cryptocurrency developed to provide a more secure form of payment, while eliminating fraud and fees. Many e-commerce retailers are trying to gain insight into how Bitcoin can benefit their business and their customers, and it seems that Newegg understands the variety of benefits. Not only will the company be able to process frictionless payments via bitcoin, but Newegg will likely see a drastic increase in sales and huge savings on payment processing fees. The company is very excited to unveil bitcoin support for their line of e-commerce sites. “Newegg’s customers are among some of the earliest bitcoin miners and are enthusiastic proponents of the crypto-currency. Adopting bitcoin as a payment method is another way we’re responding to our customers’ diverse needs,” Soren Mills, Chief Marketing Officer for Newegg North America remarked in a company release. Completing a purchase with bitcoin on Newegg.com can be completed using BitPay through a variety of options. 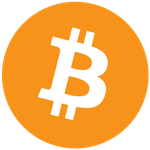 During stage two of the checkout process, customers can select “Bitcoin” from the list of available payment methods and continue the process from there. If the customer has digital wallet software installed, that customer can complete an order by clicking the “Pay with Bitcoin” button. If the customer’s digital wallet is stored in a smartphone, a QR code can be scanned on the Bitcoin Payment page to complete the transaction. Additionally, if the customer’s digital wallet is hosted on the web, the customer clicks the “View Address” link to display the digital wallet address and send the bitcoin amount due. Newegg.com customers are now able to execute Bitcoin transactions as of early this morning. For more information on the annoucement and to learn more about Bitcoin, visit http://www.newegg.com/bitcoin. In a SXSW panel discussion, IBM’s Christopher Ferris asked bitcoiner Jimmy Song if he was arguing for anarchy over a regulated financial system . In this op ed, Kyle Torpey posits, "Yes! That’s the whole point!" In this op ed, CoolBitX CEO Michael Ou argues that "anonymity contributes to cryptocurrency’s notorious volatility and makes it that much less likely that digital currencies will become stable stores of value." Last Friday, we discussed a macro resistance level bitcoin would likely test. The level was tested three times prior and immediately rejected. Now, for the fourth time, we find ourselves situated above the level as we wait to see if our support holds. Bitcoin Price Analysis: Could Three Times Be the Charm for This Resistance Level? Bitcoin remains in its tightly coiled range as the market continues its sideways trend for the third week in a row.